Sachin Tendulkar, the former India captain, said a well-balanced Indian team goes into the ICC Men's Cricket World Cup 2019 as the favourites and also singled out hosts England as toughest contenders. 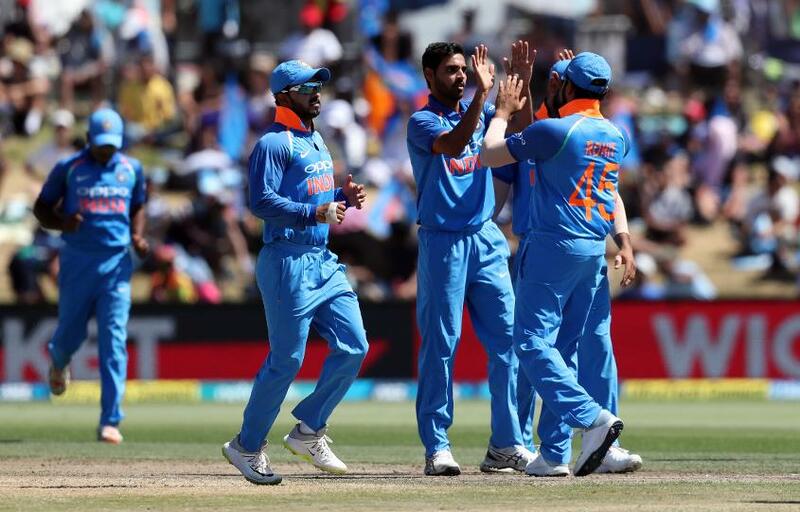 India have been in good form in one-day international cricket over the past 12 months, winning ODI series against South Africa, the Windies, Australia and New Zealand, and these victories put them in the hot seat as one of the favourties to win the World Cup in England and Wales this year. "I have gone on record saying that we have a perfect balance in the team where we will be competitive in any part of the world or on any surface," Tendulkar told PTI. "We are doing what we expect ourselves to do, and we are getting rewarded for that." India's stand-in skipper Rohit Sharma was full of praise for his side after victory in the fifth ODI against New Zealand. "As far as our chances are concerned, I will not hesitate in saying that we are the favourites." India's last ODI series was a 4-1 routing of New Zealand in a five-match away series, and the visitors competed in the last two games without regular captain Virat Kohli, while resting many key players during the series in order to give chances to the reserves. And while New Zealand were humbled at home and England recently lost a Test series to the Windies in the Caribbean, Tendulkar backed the two teams as "dark horses" and "toughest contenders", respectively. "It’s all about getting the early momentum. My judgement on the toughest contenders would be England, while New Zealand would be the dark horse," he said. "I know New Zealand have struggled in this series but it’s a good unit, one needs to be on their toes." As for the defending champions Australia, they are expected to be boosted by the return of Steve Smith and David Warner, who complete their 12-month bans imposed by Cricket Australia on 29 March, and Tendulkar believes the return of the two key players will make Australia "formidable". "I think Australia at full strength will be a formidable side. With Smith and David Warner back in the team and their other bowlers coming back into the ODI squad, it will be a competitive side," Tendulkar said.